In early September, the Hamilton County Police received an MRAP BAE Caiman 6×6 thanks to the shipping help of HG Logistics. A month later, fifteen SWAT team members went through an eight hour driver and mechanic certification class to learn to operate the vehicle. Shortly after, the MRAP headed to the Rumpke paint shop where it endured five days worth of sanding and prep before being primed and sprayed with $3,400 worth of flat olive green paint including the undercarriage and engine compartment. Later, vehicle graphics were applied and strobe lights installed along with a 200 watt speaker system. 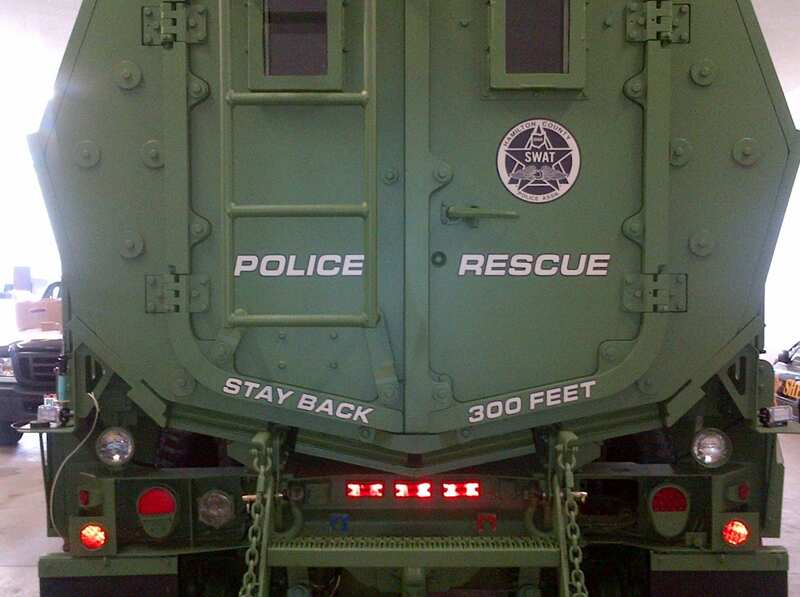 Finally, the MRAP is now fully operational as a police rescue vehicle for the Hamilton County Police Association SWAT team. Before going into full service, the entire SWAT team will undergo further training. HG donated all of the transportation costs necessary and made arrangements for the vehicle to make the 1,565 mile trek from Fort Bliss in El Paso, Texas to the Cincinnati area.